When you run out of salt in your kitchen you simply write on the grocery list “salt”. But when you go to the store there are many brands of salt. The product you select before you even glance at the others is Morton salt. That’s because Morton is a well-loved, age old company that you know you can trust to provide you with a great product for your food needs. But, Morton can improve more than just the taste of your food. Morton water softener reviews have shown that you can trust Morton to improve the quality of your water with their System Saver water softening products. Hard water is very common but most people only recognize its presence from the ugly stains that it leaves on showers, dishes and toilets. Hard water can affect your garden by interfering with soil percolation. Even areas where water is treated in facilities before being pumped to homes can have hard water because of the travel of the water through pipes. Over time the excess minerals in hard water may cause you to need to replace your plumbing fixtures, spend hundreds on bottled water, clothes, and electricity due to the heat resistant nature of the untreated water. The best way to remedy this problem is with a water softener system. Water softeners function by forcing hard water to pass through a tank containing charged resin beads which bond with the abrasive minerals and remove them before they can cause damage. Unfortunately, most water softening systems wear out because the charge of the beads fades with use. Morton’s System Saver products offer something unique- the ability to recharge the pellets that helps to cease the deterioration of your plumbing without any filters that need to be cleaned. Upon discovering that there was a more efficient way to soften the water at home, the sensible person immediately looks for Morton Water Softener Reviews. Here are a few of the most popular models in the System Saver series: M34, M30 and M20. Of course model numbers don’t actually tell you enough to make an educated purchase. M34 and M30 are the most popular models because M34 is designed for any home size and M30 is designed for homes with up to four people in them, while M20 is capable of servicing a home for two only. All of Morton’s System Saver lines function as whole home filtration, which eliminates the need to purchase water purifiers and filters for drinking water and solves the problem of softening the water in places like the shower and dishwasher. The M34 model is perfect for the home with average water hardness and any family size. This system will service the entire home and houses up to 200 lbs of salt. Most impressive about the M34, besides the 10 year tank warranty, is technology that predicts the needs of your family based on previous use and ensures that there is enough treated water available. For days when you are using an unusually large amount of water, there are even options to immediately recharge the system and get the quality water you need. Because the system doesn’t needlessly treat water there is less wasted salt, up to 50% less salt which translates directly into savings for you. In fact, the benefits of having softer water transcend the more appealing taste and appearance, have softer water can save you approximately $1100 a year because hard water doesn’t heat or rinse as well. The system is so simple it can be installed by any DIY-er and should you lose your manual it is easy to locate copies on the System Saver website. As powerful as this product is, it is quite small- 20 5/8” x 17 1/4” x 42 3/4”, but if your space is severely limited Morton offers a live person to discuss the option of installing the softener outdoors. The M30 model is more appropriate for households with very hard water. This product is best for home with up to four people and also features Morton’s patented Look Ahead technology to help you reduce the wasted salt from softening water. As a convenience, this model also features the ability to request that the tank recharge immediately to fulfill your water needs or manually turn the system off if you want to retest your untreated water. And of course it is simple enough to install without the need to call a plumber and the 10 year tank warranty covers the salt storage tank and the mineral tank. Morton is so sure of the dependability of their product that even without a proof of purchase, they still warranty their product for one year from the manufacture date. Morton salt pellets are recommended for use in these water softeners as they have specially designed the pellets to be super effective in recharging the resin beads, which clean the water during the five cycles that ensure the resulting water is as soft as possible, and maintains a low sodium content- Morton has their products tested to ensure that the levels of sodium added are no more than 150mg for water experiencing 5g per quart of water. We certainly hope that this overview of Morton Water Softener Reviews will help you make an educated decision when choosing a home water softener. 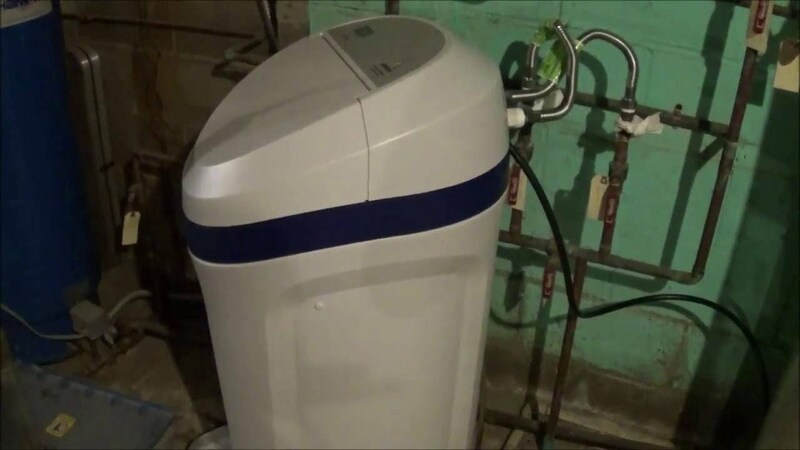 If you are interested in learning more information about which of the five System Saver line models would be appropriate for your family and offer you the best savings or viewing an animation to see how the process of water softening works with this system, please visit the official website.